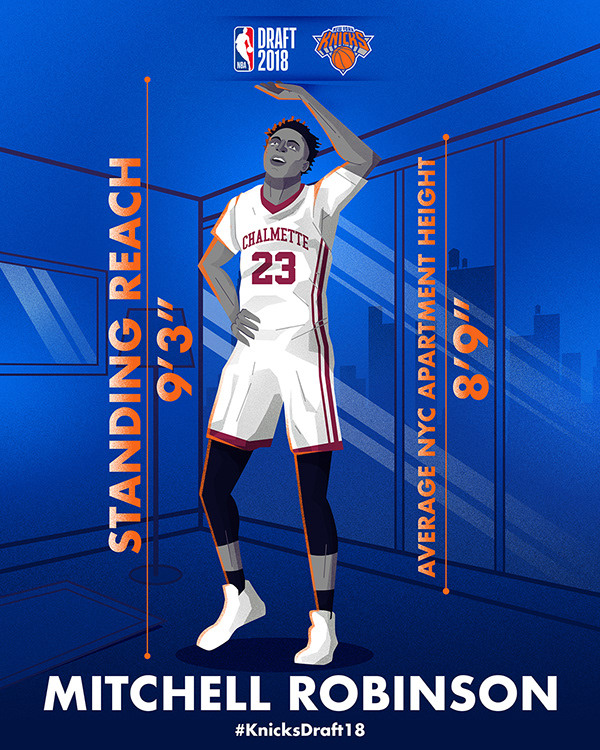 a stat of the rookie and a stat of New York, a sort of "Rookie vs the City". 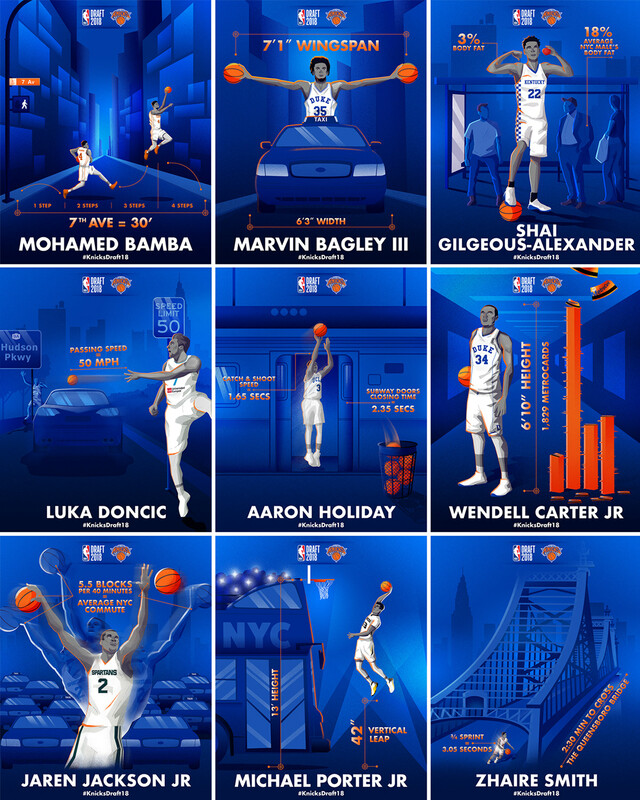 to create a sort of hype on the possible future Knick. 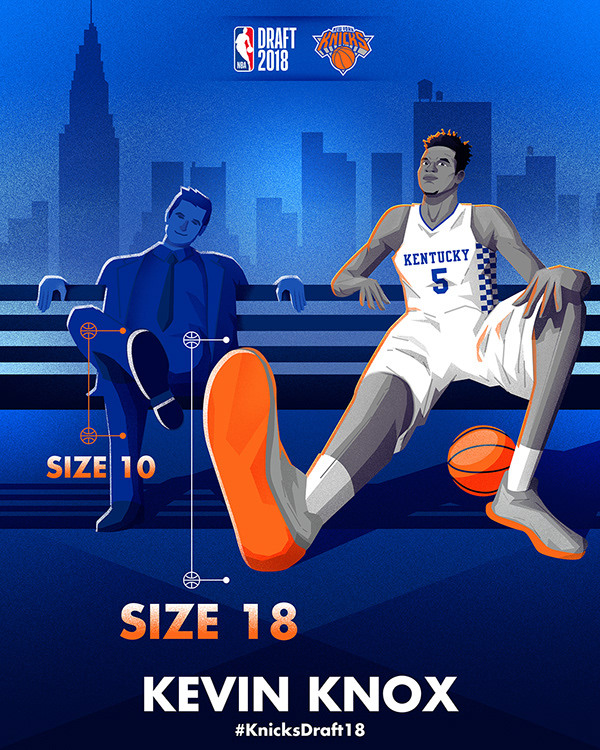 Series of illustrations for the New York Knicks, where we made a comparison between a stat of the rookie and a stat of New York, a sort of "Rookie vs the City".